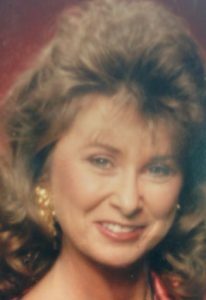 Rosalie Diane “Rosie” Albaugh, 70, Cromwell, passed away at 1:20 p.m., Saturday, March 23, 2019, at Parkview Regional Hospital in Fort Wayne, IN. She was born on June 24, 1948, the daughter of Melvin and Evelyn (Slone) Brazel, in Goshen. On Feb. 16, 1991, she married Michael J. Albaugh; he survives. Other survivors include her daughters: Kimberly K. (Frank) Richardson of Cromwell; Shelly Pena of Ligonier; Lisa M. (Brian) Crawford and Kristina D. Albaugh, both of LaGrange; a sister, Susie (Larry) Culp and a brother, Jim (Sue) Brazel, both of Cromwell; eight grandchildren: Aaron A. (Jillian) Coy, Brittany R.(Cole) Stage, Haley J. Richardson, Waylon J. Richardson, Dawson Crawford, Owen Crawford, Domingo Pena III, and Rio Pena; along with five great-grandchildren: Trevor S. Martin, Dray D. Stage, Lauren K. “Itty Bitty” Coy, Harper A. “Bird” Coy, and Domingo “D” Pena IV. She was preceded in death by her parents. She was a 4H Archery leader with her husband for many years and loved supporting her children and grandchildren at their sporting events whether they were local or out of state. She enjoyed fishing, mushroom hunting, bird watching, and more than anything, caring for, and loving her family. A Memorial Service will be held in Rosie Albaugh’s honor on Saturday, March 30, at noon at Yeager Funeral Home, 1589 Lincolnway South; Ligonier, IN 46767. Rev. Will Curry will officiate. Burial will follow at Sparta Cemetery in Kimmel, IN. Family and friends will be received from 10am until the time of the service on Saturday at the funeral home. Memorial contributions may be directed to the Animal Welfare League of Kosciusko County, 3489 E 100 S, Pierceton, IN 46562. Yeager Funeral Home is assisting the family with arrangements.